Our doctors at TriCounty Pain Management Centers can help you get relief from automobile injuries and pain from car accidents. Call 215-771-1179 for an appointment at one of our many locations: Philadelphia, West Philadelphia, Warminster, Exton, Ardmore, Willow Grove, Bethlehem, Norristown, Neshaminy Valley/Bensalem, Pennsylvania plus Middletown and Wilmington DE. Cervicogenic headaches originate in the neck, and they often start with some kind of neck injury due to trauma or an auto collision. 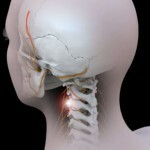 A new study shows how chiropractic can alleviate cervicogenic headache. Find out more in the video. We have pain management specialists throughout Greater Philadelphia, with many offices and convenient hours to serve you. Find one near you. 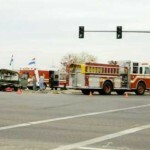 Some patients develop chronic widespread pain after a car crash. 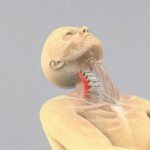 Despite the initial location of the injury, pain may spread to unrelated parts of the body such as the hands and feet. Learn more about how to identify the symptoms of over-sensitization in this video. Our doctors can help to manage your pain from auto injury. Give us a call to schedule an appointment. Vertigo and dizziness are common after auto injuries. 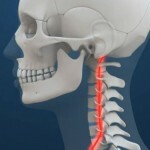 A new study shows how chiropractic can help. We have pain management specialists throughout Greater Philadelphia, with many offices and convenient hours to serve you. Find one near you. 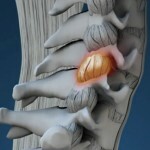 The ligaments of the spine are particularly at risk of stretching or tearing during an auto collision. If damage to the ligaments occurs, your spine loses its stability and integrity which can manifest as disability or chronic pain. Find out more in the video. Our doctors can help to manage your pain from auto injury. Give us a call to schedule an appointment. The majority of auto injury patients report headache after a collision. 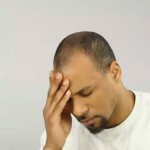 You can learn more about the different conditions that result in headache in this video, as well as how to identify and seek treatment for their symptoms. If you suffer pain from an auto injury, call the medical professionals at our pain management centers. Locate our offices by clicking this link. Researchers are studying automobile crash test simulations to get more insight into what causes the range of injuries in a car accident. This video shows you samples of crash test videos to see how these painful injuries can occur. For help relieving the pain from an auto injury, make an appointment with our caring, skilled professionals at Tri County PMC. Click here for locations.